Posted April 17th, 2016 by admin & filed under News. I made my daughter a Captain Phasma costume and as I’m quite proud of it I thought I’d post some pictures! We did this at Emerald City Comic Con. I found a Battle Buddy, which is a four foot high statue of a stormtrooper from The Force Awakens. 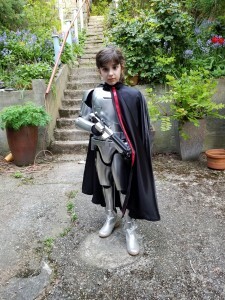 I took it apart, used a grinder to cut out the insides, painted it, made a mounting system inside and turned it into a full Stormtrooper outfit for my daughter! It was a LOT of work – but she was thrilled. 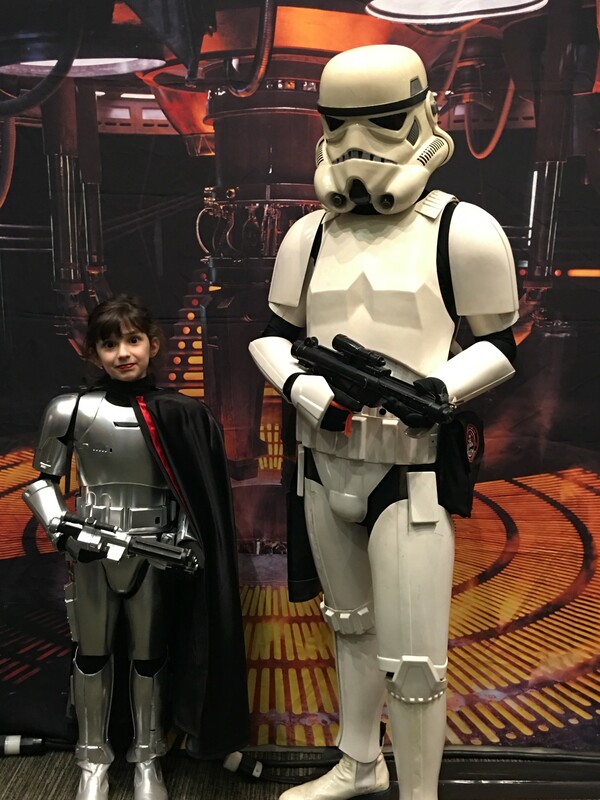 The first picture was a test fitting, and the second was her and I at Emerald City Comic Con. Though I make some exceptions I usually perform only every other weekend. That can make scheduling difficult, which I apologize for, but I keep alternate weekends free to spend with my own kids! My booked times show below. Start times need to be at least two to three hours apart in order for me to make it from one show to the next with time to travel as well as setting up and breaking down the show. If you see a time that will work for you, just let me know. Sign up for information about my free family friendly variety show!